Reactive parents become very upset and frustrated when their child throws a tantrum, which leads to a negative response from the parent. In contrast, a responsive parent would remain calm and deal with their child in a more positive way during a tantrum. The C.O.A.L. 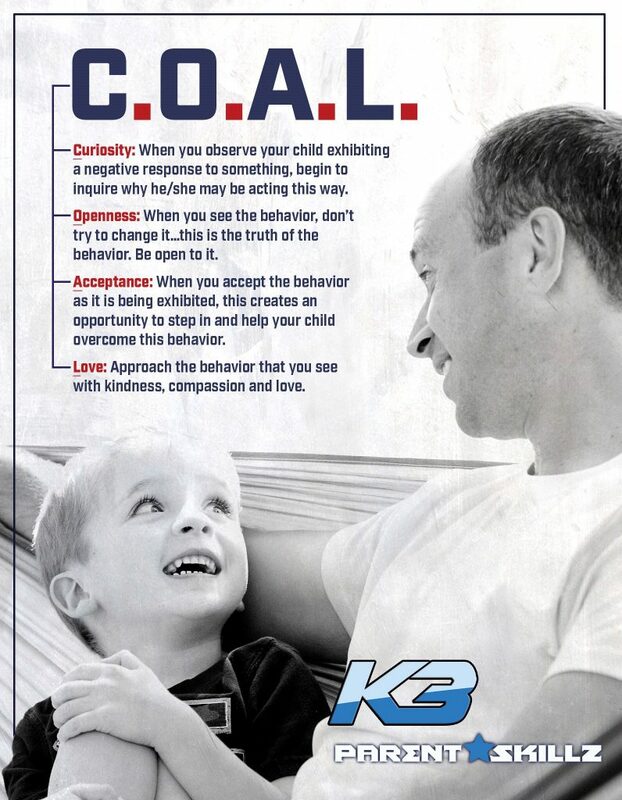 Method, suggests that parents go through the four steps when dealing with the negative behaviors from their children. These four steps are quick and easy to implement steps and can help parents and their children feel more successful in an already negative situation. When you observe your child exhibiting a negative response to something, begin to inquire why he/she may be acting this way. When you see the behavior, don’t try to change it…this is the truth of the behavior. Be open to it. When you accept the behavior as it is being exhibited, this creates an opportunity to step in and help your child overcome this behavior. Approach the behavior that you see with kindness, compassion, and love. When you use this approach to help your child manage a negative behavior, you are better able to manage your own emotions and, therefore, help your child become manage their feelings in a negative situation in the future. This leads to better emotional balance, increased resilience, and greater well-being.